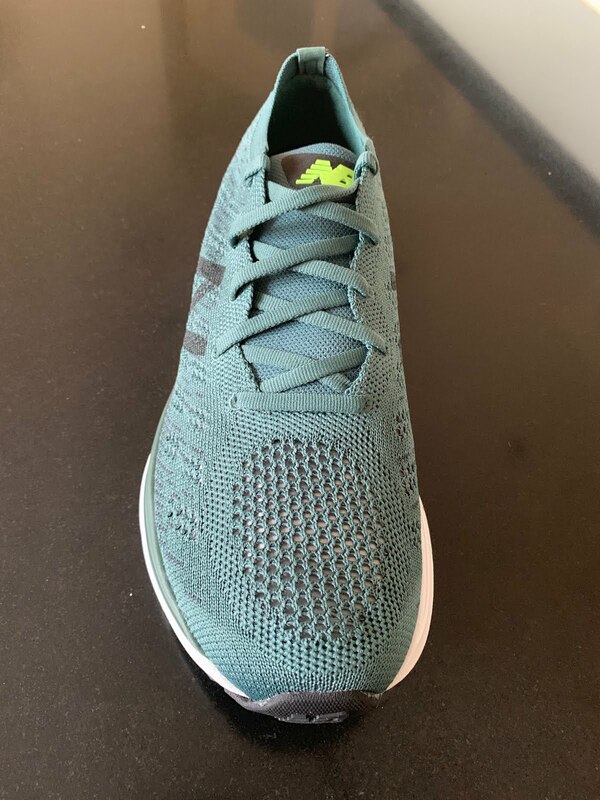 The New Balance 890v7 is called out by New Balance as having a "sleek and lightweight design which makes it the perfect daily trainer and dedicated workout shoe". 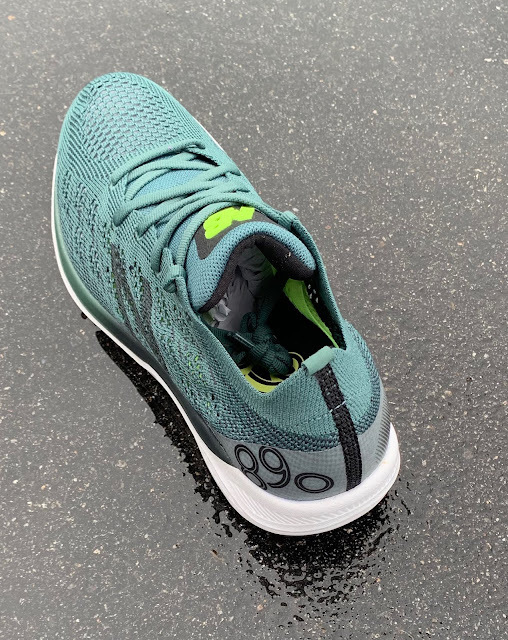 The 890v7 is priced at $120 and will be available early April 2019. The big news here is that my size US 8.5 sample weighs 6.6 oz /187 grams for a massive 2.3 oz drop from my 890v6 sample (RTR review) at the same size. With a catalog spec of 7.1 oz men's and women's at 5.5 oz /158 g it should come in a touch under 7 oz. / 198 g in a size 9 (New Balance I believe using size 9.5 for catalog weights). That is light! Where do the weight savings come from as looked at side by side the stack appears the same at an estimated 27mm heel /21 mm forefoot? 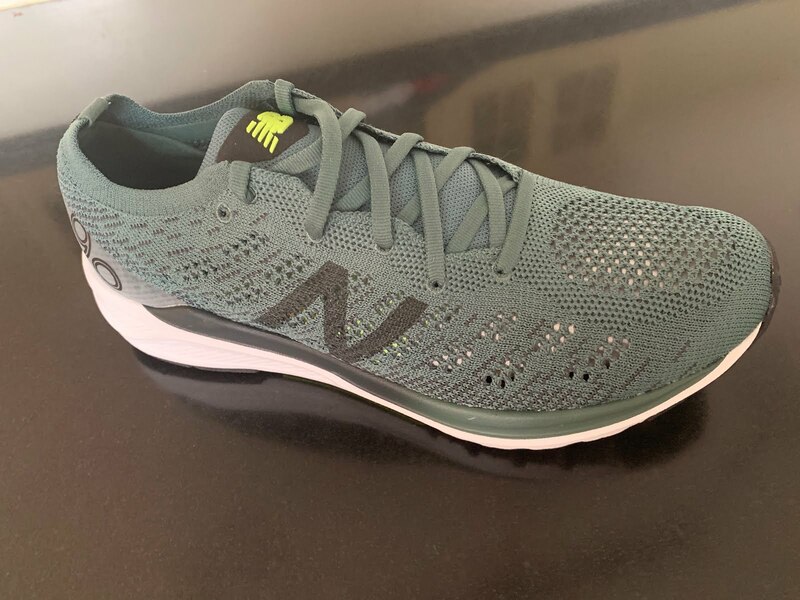 The result is a shoe which should come in lighter than any other trainer racers from New Balance including the 1400, stability oriented 1500, softer Beacon, and Zante Pursuit. The upper is what is called an "Engineered Knit". I am not sure I have yet seen a knit upper with this level of highly varied density of knitting. It is beautiful. It is made up of a single layer with no lining so this should be a very breathable easily draining shoe. The knit has only minimal stretch beyond, cleverly, more stretchy knit in to the ankle collar. The tongue has a mesh bootie also ventilated. The fit is excellent, secure and with plenty of toe height and no pointy low front a la some of the Nike Flyknit knits. Compared to the Beacon's upper with its more unitary/single pattern less structured softer and slightly stretchier knit where foot hold could start to suffer at faster paces, the 890 is more dialed to the foot especially upfront, although the Beacon does have a superior heel hold. Compared to the v6 there is more toe overhead room, maybe a touch less toe box width despite being the same last and not quite the secure heel hold of the v6. The v6 had one of the best performance uppers of 2018 so a high bar. 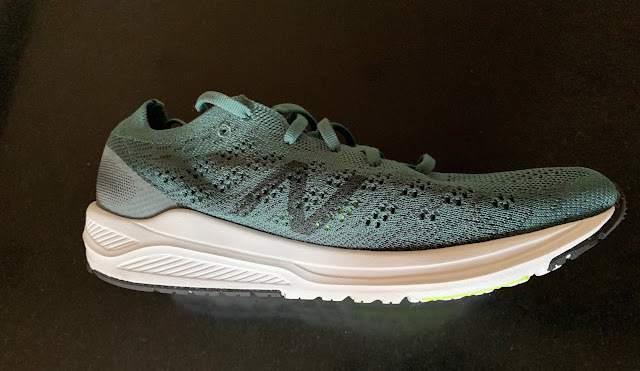 As called out by New Balance, the front of the upper contributes to flexibility and it is needed as the 890v7 is a quite stiff and long flexing, so far, with no distinct fairly far back flex point as the v6 has but the stiffer flex wasn't really noticed on the run. 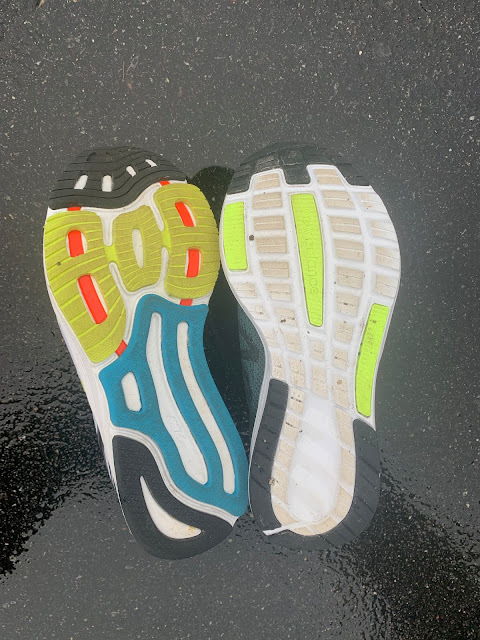 Clearly the outsole coverage is reduced as shown above with 890v7 to the right. This must be huge contribution to the weight savings. The 890v6 had a very extensive firm outsole all the way through the mid foot creating a stable platform feel, to stable and firm for my tastes unless run fast. While still thick and firm towards the back with a light stabilizing component given the outsole does not extend forward or as wide as the v6 the sense of a plate is gone. 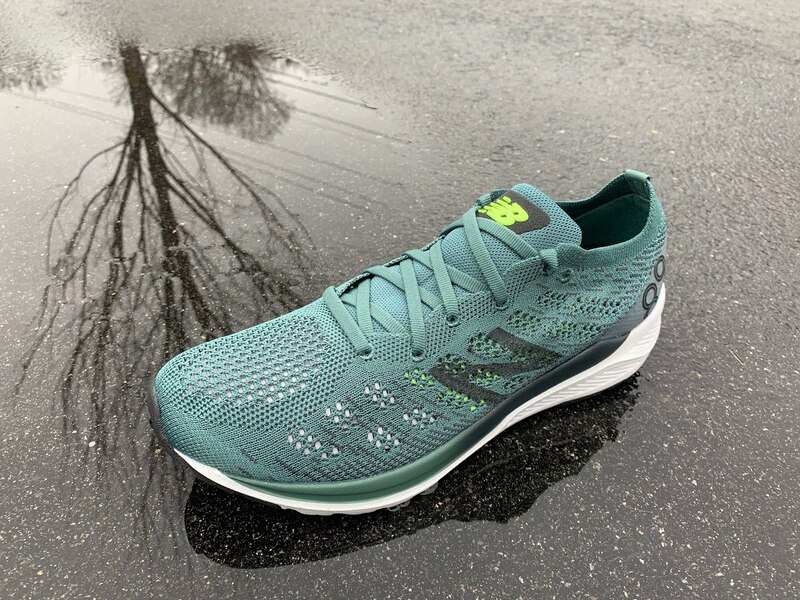 When combined with less extensive forefoot rubber and no orange TPU strips, the transition is easier, if not quite as snappy with the front and rear feel slightly softer and easier on the foot, particularly the mid foot and toes. 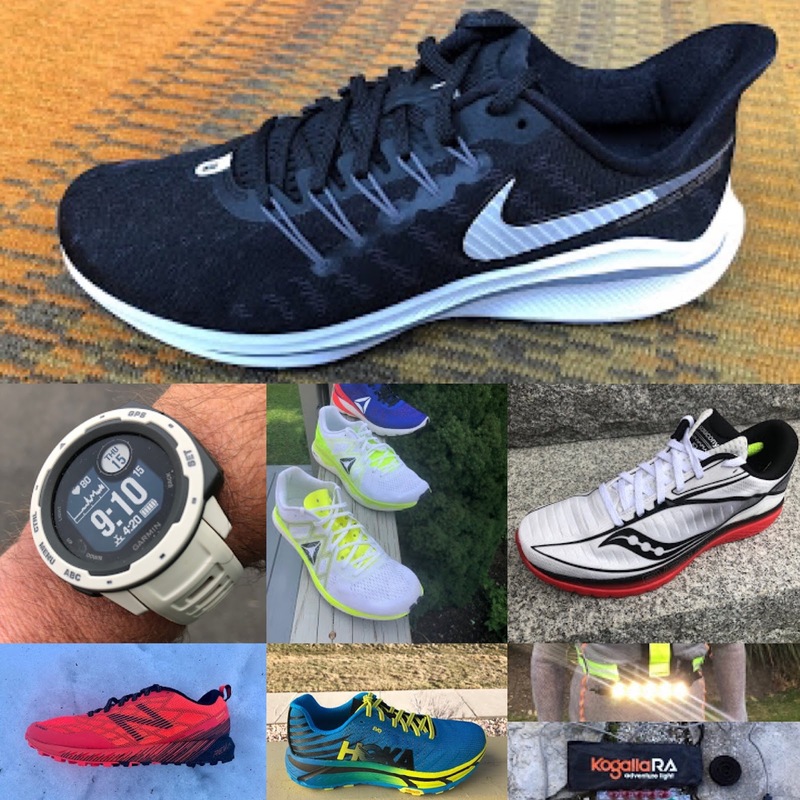 There is still a stability tilt to this shoe as while there is less outsole coverage there are medial side walls which resemble the Nike Zoom Vomero 14 or Brooks Ravenna 10 but are shorter, as soft as the rest of the RevLite and less extreme in profile. After the first 5 miles they were no longer noticed beyond a slight sense of guidance and stability now higher off the ground than the previous outsole plate approach. 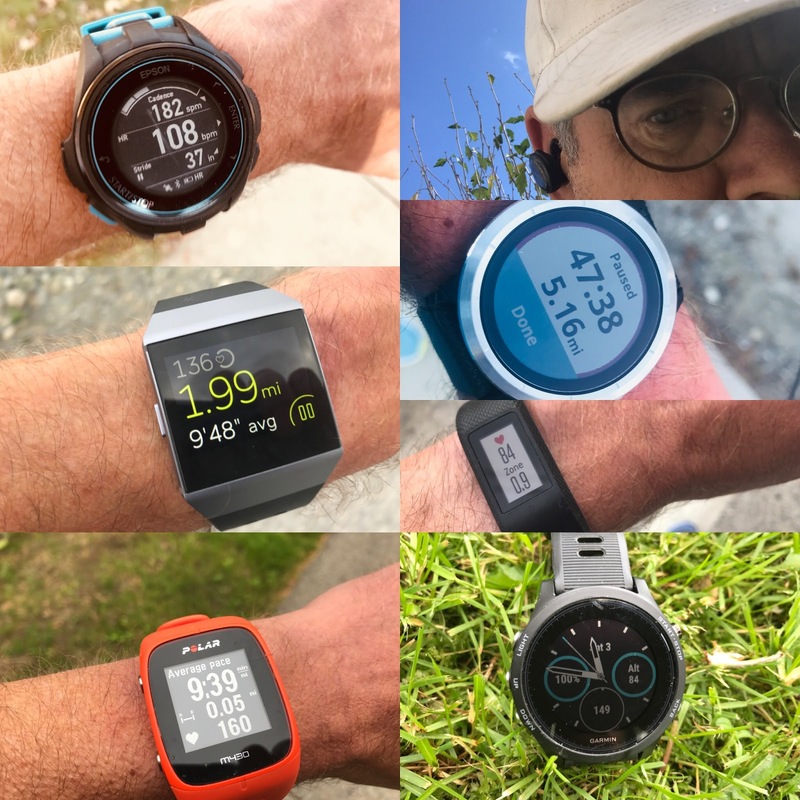 The ride is on the firm side and responsive, but not punishingly so as I sometimes found the v6 given its outsole especially at slower paces as my first test runs were, one run being a 3 miler with v6 on foot and v7 on the other. Losing the outsole rubber really helps soften the ride and shock, front to back, and especially at mid foot and it also makes transitions off mid foot far easier for me, especially at slower paces. I do notice a touch less snap and distinct flex as the v7 so far is stiffer and the TPU strips under mid foot are gone. This said, the toe off is easier and slightly softer in feel. You really had to push the v6 hard to work its magic and get past the firm midsole outsole coverage, not nearly as much here. Much more testing to come, but as New Balance suggests, the v7 should be a very stable solid and fast "workouts" shoe and for some a daily trainer. I also suspect it will be become a top racing choice for New Balance fans who seek a touch of stability and a firm responsive ride in a light shoe. Sam is the Editor and Founder of Road Trail Run. He is 61 with a recent 3:40 Boston qualifier. Sam has been running for over 45 years and has a 2:28 marathon PR. These days he runs halves in the 1:35-1:41 range and trains 40 miles per week mostly at moderate paces in the 9 minute range. He is 5'10" and weighs about 165 lbs. More comparisons to come as updates and in our full multi-tester review. The product reviewed in this article provided at no cost. The opinions herein are entirely the author's. What the hell ?? Soooo light ! I'll wait to see if there's a London marathon Edition, but I can't wait to try the new 890. Great evolution ! Getting info on exact release date. Soon I think. This looks very promising. It’s good to see companies pushing the envelope again in the weight department. The upper reminds me of the Escalante Racer’s knit and the Ground Contact application for Revlite is very intriguing. I’m not a big fan of Revlite in the models I’ve tried it in (too harsh), but would certainly be willing to give it a chance based on what I see here. I loved the Ground Contact Fresh Foam in the Beacon, but like many felt the upper was sloppy and too hot during the summer and the ride a little unstable at speed. Still, it was one of my favorite shoes of last year and ones that I found myself reaching for without thinking, even for casual wear. Looking forward to the full review on this. Thanks Sam! With this shoe coming out and being about the same weight if not lighter is the 1400 not as viable now since its not as versatile? In what scenarios would the 1400 be the better option? I personally prefer my daily training shoes to be softer and save firm ones for races. this shoe has the potential to be better than the beacon for being more structured and lighter. I wish it is as soft as the beacon. but revlite traditionally is firmer than fresh foam, so I guess for me this will suit more as a racer. do you think it will soften over time? I don't think it will soften over time but will be more stable and responsive than Beacon. It is less daily trainer (expect maybe for those seeking a fairly firm training ride) than faster workouts shoe. The question our further testing may answer is will be get more flexible and develop a more distinct flex point as Beacon and 890v6 have. Both have a very stable rear of shoe and agile forefoot. Vomero 14 has more and somewhat softer cushioning at the heel and has a distinct forward flex point which so far 890v7 lacks. Vomero 14 is easier to run slower than 890 and is more trainer oriented. It also has for me as a very easy and quite snappy forefoot to toe off from. It is heavier in weight and feel but a great trainer which loves to go fast. You might also look at fine 1089v9 in NB reviews at the link below. Thanks for this Sam. As someone who prefers a firm, stable shoe for day-to-day use I look forward to reading more about these. It is great to see a new training shoe going against the general trend to softness. !400 still relevant for sure. 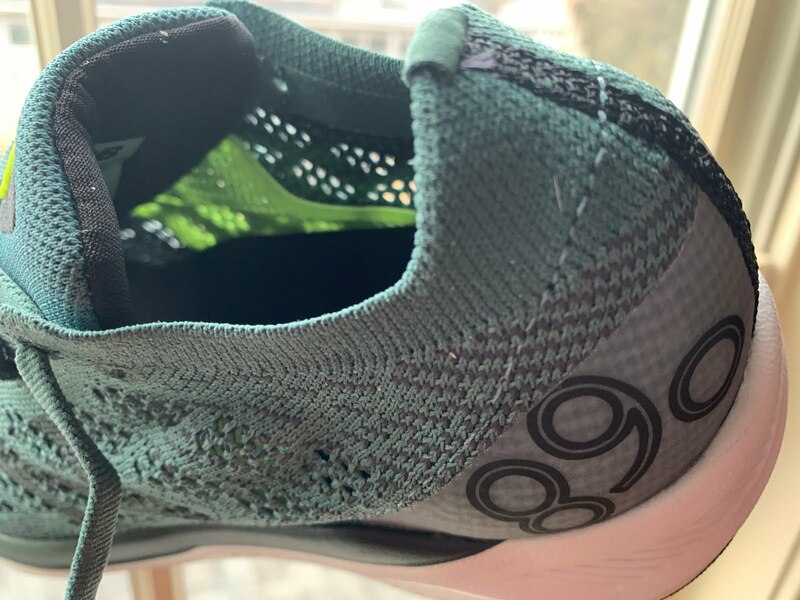 It has a greater drop (less forefoot cushion the difference) both which I find useful for racing shorter distances It's weight is within a tenth or so of the 890v7. Still more testing to come but the 1400 likely is more flexible while the 890 v7 is stiffer in flex. The shoe which may be less relevant is the 1500 as a light stability racer. Ive got to say I am little excited about this shoe, just when I was about to pull the trigger on the 890v6 (for £52) and these appear. I like some of the latest releases from NB. The Beacon is amazing, the 1080v9 is a complete revolution compared to the v8. Not a massive fan of the Zante v4 and not tried the new Pursuit, but this looks interesting and looking to try more revlite shoes as I was impressed with the 1400v6. Great review! I came here after NB released their Boston Marathon v7 edition. I am already a huge fan of the Zante (new Pursuit...whee! and Solas...WOW!!) and Beacon (happy easy run days but if the legs feel fresh and want to go fast, I have pulled some speedy 21k paces in them). I think I will order the Boston v7 pair and give them a whirl. I love the Zante Solas for speedwork and tempo runs (practically feels like running barefoot). I bet these will be great for long runs at marathon race-pace practice. Lightness is overrated. If I want light, I'll wear my 1400s. I am incredibly disappointed with the upper of this new "shoe.". If NB wants to release a flyknit wannabe, fine, but they should also continue making a traditional tempo shoe like the 890 V6 and earlier. I basically have to switch brands now. Where I run, knit uppers disintegrate due to the wet weather and climate. They are also too breathable. The 890 V6 was pretty much the perfect shoe. Can I just say that the shoe is idiotic look also? I have large feet and these types of uppers make them look like skies.